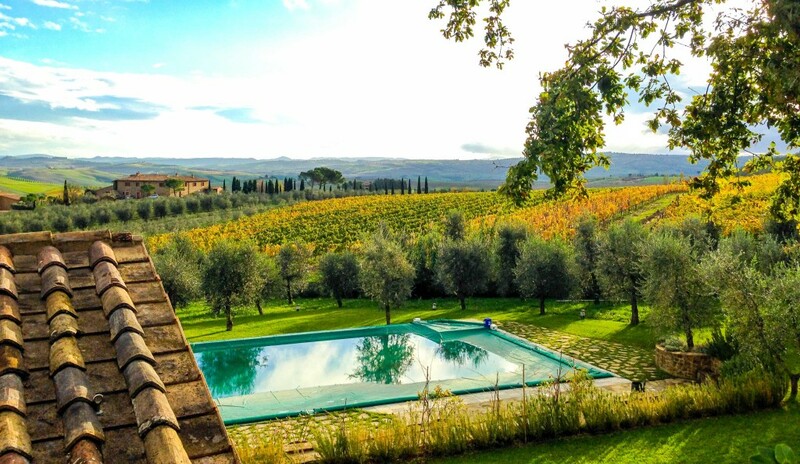 Olive trees lead to grapevines, and then to the hills of Montalcino in Tuscany at this gorgeous relais of Canalicchio di Sopra, a producer of classic Brunello di Montalcino wine. Photo by Gloria J. Chang. Brunello di Montalcino is a mesmerizing red wine made of the sangiovese grape in the warmest pocket of Tuscany around the town of Montalcino, 42 kilometres south of Siena. 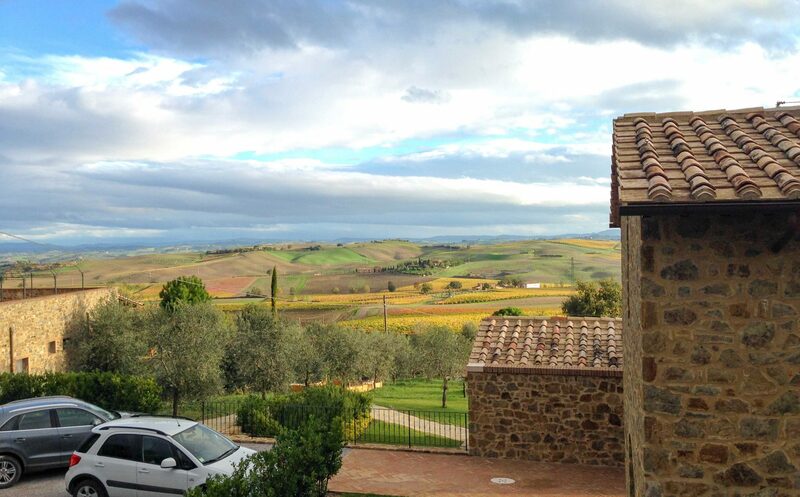 Brunello is another name for sangiovese, so you can think of it as sangiovese of Montalcino. Here, all wines with the name “Brunello” must be made of 100 per cent sangiovese. 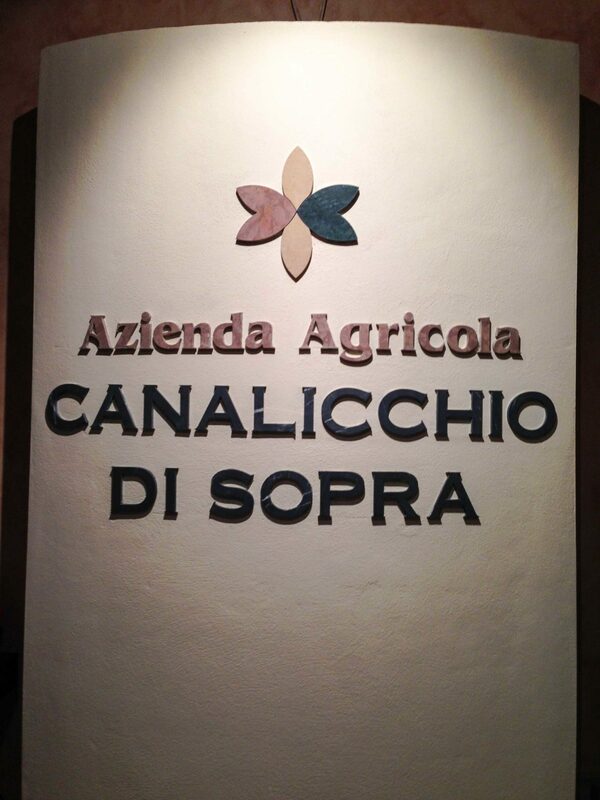 Canalicchio di Sopra doesn’t just make a beautiful and classic Brunello, it also has a gorgeous place to stay. Family run, just as its winery, it provides everything you could possibly wish or need. A full, well-equipped kitchen, complimentary WiFi, and television if that’s your thing. 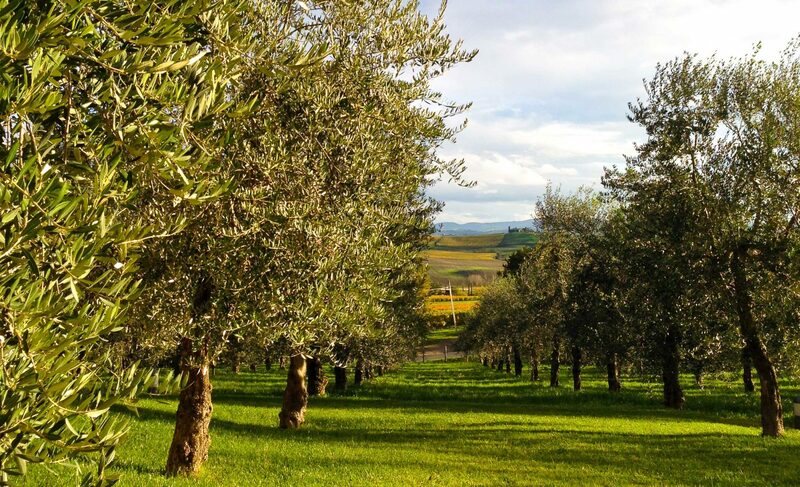 Step out of your suite, and you have a field of olive trees, the grapevines beyond, and the hills of Montalcino in the distance. The pool looked enticing, but since our visit was in early November, it was covered. You could imagine a summer afternoon eating up the scenery, listening to nothing but the wind blowing through the cypress trees, and of course, sipping a glass of wine. Autumn though, brought a glorious change of colours. Such a gorgeous, welcoming, and quiet place to stay.